On Wednesday, Jan. 24, Miron Construction Co., Inc. was recognized with an award celebrating the generosity of its employees for their efforts in giving back to the community at the United Way Fox Cities 2017 Campaign Celebration. For the sixth year in a row, Miron surpassed its campaign goal, raising more than $300,000 for United Way, across all its regional office locations (dollars raised will remain within the respective communities). Miron received the Employee Campaign Manager / Team of the Year Award for the fourth year in a row in the medium organization (151-499 workers) category for its 46 percent growth in overall giving (in the Fox Cities). In terms of the company’s entire campaign, they experienced a 68 percent growth in dollars raised and increased participation by 7 percent, with 83 percent of employees making a pledge this year. The fundraising efforts of Miron and other participants resulted in United Way Fox Cities surpassing its 2017 campaign goal of $8.75 million, the most it has ever raised. Voss completed his second and final year as United Way Fox Cities Campaign Co-Chair but will remain on with the organization in 2018 as the United Way Fox Cities Leadership Giving Chair to continue to help raise awareness for the organization, share its mission and promote giving in the community to help provide assistance to more than 100,000 people. 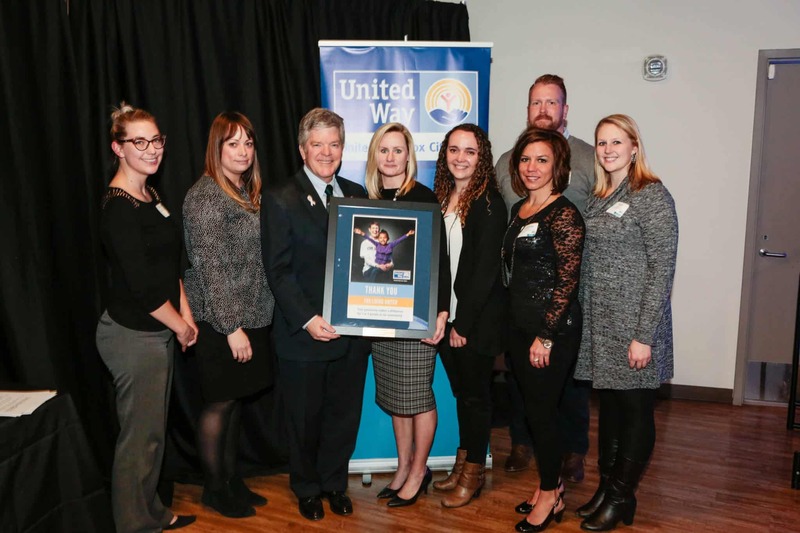 Pictured from left to right: Alyssa Anderson and Andrea Krause (Miron Construction), Peter Kelly (president and CEO of United Way Fox Cities), and Jen Bauer, Melissa Schulteis, Lindsey Sanders, Craig Bieri and Terri Glasel (Miron Construction).